Truffle's Secret Hideaway': Molly’s kitten, Truffle, is a real stay-at-home cat. But recently she’s started disappearing, and Molly’s worried that she isn’t happy living in such a noisy household. Then one day, Truffle doesn’t come back at all. Can the Kitten Club help to find her and bring her home? 'Buster's Naughty Tricks': Lily’s cheeky kitten, Buster, is forever getting up to mischief around the house, and Mum is starting to lose patience with his naughty tricks. When Buster wrecks Lily’s costume for the school play, it’s the final straw! 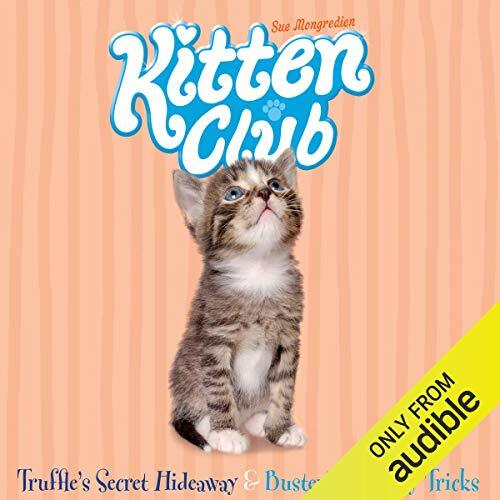 Can the Kitten Club girls keep Buster out of trouble? ©2011 Sue Mongredien (P)2011 AudioGo Ltd.